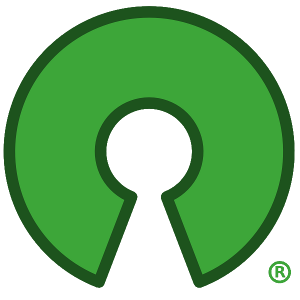 The Open Source Initiative turn 18 this year, and we´re running now our membership drive for the 2nd time. To coincide with our 2016 Board elections, we´ll be recruiting new members through the end of the elections on March 14, 2016. By becoming a member, you not only get a number of benefits like discounted conference passes and gratis technical training content, but more importantly you also get the option to immediately get involved in our voting process! By supporting the OSI through your membership, you ensure that we can protect open source licensing as a community -you don’t just help one open source project, you help all of them! Only with a strong and active member base can we thrive in our role as the internationally recognised nexus of trust and the foundation for open source software. We need your support to support Open Source. If you are already a member, please consider asking your friends to join us. We´ve added a bit of FAQ text at the end of this post so you can send it along to those folks you think benefit from our work and who would like to participate in the OSI´s governance and projects. Our membership drive goal is to sign up 2398 new members, as was last year’s goal - a nod to our founding on the 3rd of February, 1998. Please join as a member today! Please help spread the word about the OSI membership campaign, whether by posting about it, or sharing posts you have read on the subject. Your participation is integral to the success of the Open Source Initiative. The official hashtag when tweeting about the campaign is #for2398. Joining takes less than 5 minutes and is just 40 USD. You can become a member for one year and even or have your membership fees renewed automatically each year. Please support the OSI now! What is the Open Source Initiative (OSI)? The open source initiative is a non-profit organisation that focusses on raising awareness and adoption rates of Open Source Software (OSS). We are a pragmatic community organisation that understands how developers, businesses, governments, and open source interact. We are a globally recognised body for approving OSS licenses, and steward of the Open Source Definition. The OSI serves as an international nexus of trust, protecting and promoting open source software as well as the communities that develop and depend on it. Since 1998, the OSI has brought together open source developers, organizers, contributors, advocates, and businesses around the common goal of creation through collaboration. Free three months subscription to Linux Voice Magazine, with access to back-issues (electronic version). 20% off registration fees for O’Reilly’s OSCON. 10% off registration for Linux Foundation convened events, such as LinuxCon, CloudOpen or ApacheCon. Your membership fee ($40 per year) goes directly towards promoting and protecting Open Source Software. If we reach our goal of 2,398 new members, we’ll not only raise $95,920 to help us with our operations and community-based initiatives, we’ll also build an even stronger constituency to support our efforts to raise awareness about and adoption of Affiliate member projects, open source software, its communities and its global scope.